Zenport Tapener Holster HJ919B ZEN MAX Tapener Tool Holster Belt. Designed specifically for the ZEN and MAX HTB HTB-2 Tapener. Works with both Small and Large models. This unique Tapener Tool Belt Holster will not only free up your hands in the vineyard but also allows you to keep everything you need for your Tapener close at hand. Features a custom tailored pocket designed to keep your valuable Tapener Gun safe and at your side. 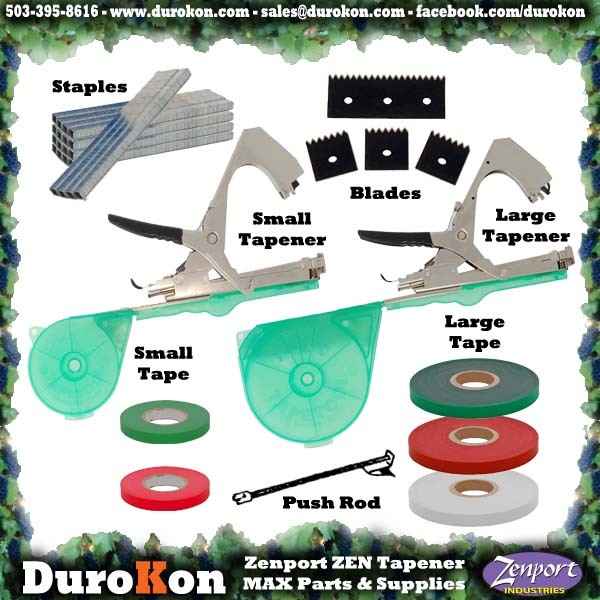 Also features a Tapener Tie Tape dispenser and a pocket for your staples and other items.